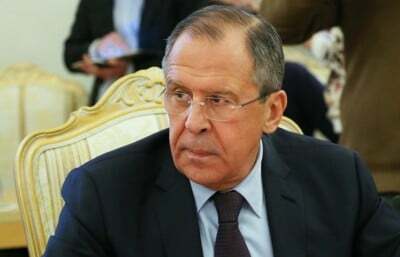 Attempts to falsify the history of the Second World War offend peoples and undermine the foundations of modern world order, Russian Foreign Minister Sergey Lavrov wrote in an article titled “Lessons of History and New Milestones” published on Sunday in Russia’s Rossiyskaya Gazeta daily and China’s Renmin Ribao daily. “The current year goes by under the mark of celebrating the 70th anniversary of ending the Second World War. For Russia and China, this jubilee bears special significance,” Lavrov wrote. “Our countries were allies in fight against Nazism and Japanese militarism, they took the main blow of aggressors, bore the biggest losses,” he continued. “Our peoples managed to withstand that dreadful fight and win thanks to outstanding courage, self-sacrifice and mobilization of all forces,” he said. “Tens of thousands of Soviet soldiers gave their lives for the freedom and independence of China. We are glad that Beijing carefully cherish the memory of our compatriots,” the foreign minister stressed. One of the best examples of cooperation in the military-memorial sphere is “the first joint search expedition that took place this year in the Heilongjiang province in which the remains of Soviet soldiers were found,” Lavrov said. “Today, we face undisguised attempts to falsify the history of war, to equal the victims and the executioners,” he noted. “All of this not only offends our peoples, but also undermines the foundations of the modern world order enshrined in the UN Charter,” he explained. “That is why it is very important that our countries are united in their striving to continue decisively defending the historical truth, to defend the results of the Victory,” Lavrov wrote. In this context, the foreign minister noted, “it is hard to overestimate the importance of Chinese President Xi Jinping’s participation in the anniversary celebrations in Moscow, of the fact that a unit of China’s armed forces was part of the parade on Red Square,” he concluded. The lessons of the Second World War are evidence that it is necessary to approach collectively the resolution of international problems, Lavrov continued. “The spirit of alliance and in general the lessons of Second World War confirm that there is no alternative to collective work in the interests of looking for efficient answers to large-scale threats that the international community is facing, underscore the value of equal mutually respectful partnership which is in fact the only way to prevent new conflict,” Lavrov noted. The foreign minister stressed that “in today’s uneasy international situation, which is characterized by high level of turbulence and accumulating crises, we should not forget the lessons of the past to avoid irreparable mistakes in the future.” “The fate of the world cannot be determined by one country or a narrow group of countries,” he said. 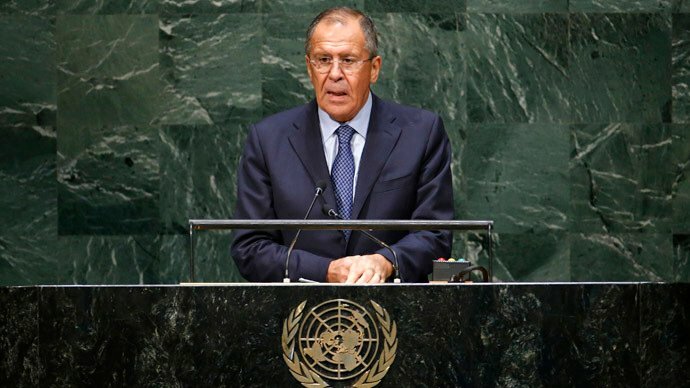 “Bombardments of Yugoslavia, occupation of Iraq, chaos in Libya, fratricidal war in Ukraine clearly demonstrate what tragic consequences can departure from elementary truth entail – the striving to capture and retain global dominance at any cost, impose one’s opinion, will and values on other countries,” Lavrov concluded. Relations between Russia and China “are at the highest over their history and continue to develop consistently,” Lavrov stressed. “Their basis is in feeling of sincere friendship and sympathy between our peoples, deep mutual respect and trust, consideration of key interests of each other, interest in prosperity of our countries,” Lavrov wrote. “In fact, we are talking about inter-state relations of new type, a kind of cooperation model in the 21st century,” he continued. Lavrov stressed that cooperation between Moscow and Beijing on the international arena has become an important of maintaining international and regional stability. “Russia and China adhere to equal or close approaches on key modern problems, consistently stand for forming a new polycentric world order with reliance on international law, respect to self-identity of different peoples, their right to choose independently the way of development,” the foreign minister said. “We are resolute opponents of imposing one’s will on sovereign countries, including by military means, of unilateral sanctions pressure, and in general of employing the practice of ‘double standards’,” Lavrov noted.